The crossing of the Gorge offers a unique and fascinating experience. 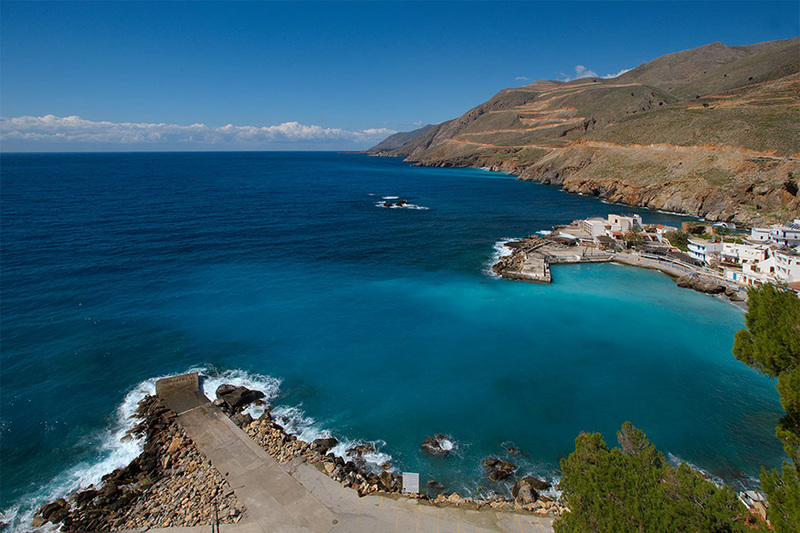 In Crete there are plenty of diamonds a finite natural beauty and a kind of remarkable is the gorges. 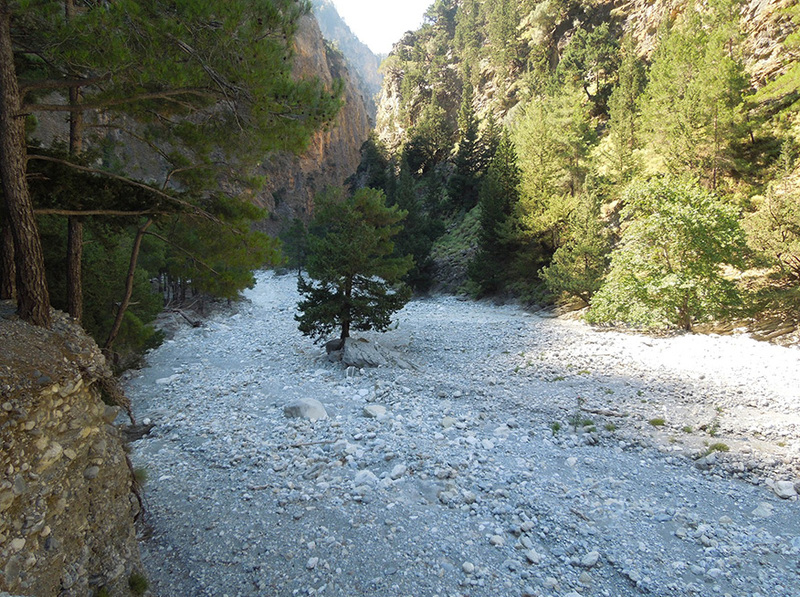 The Samaria Gorge, “the gorge”, but it is one and only. The Passage of the "Gorge is a unique and fascinating experience. The hiker is confronted with nature and wild beauty. Rewarded for the hard hiking in rough ground with steep primitive and an imposing sight, a beautiful landscape without human intervention, a unique sense of awe and admiration for infinite the greatness that faces intact. The National Park of the White Mountains Crete, known as the Samaria Gorge, founded in 1962 to the protection and preservation of scientific and cultural value of region. For these reasons recognized by the Council of Europe as one of the most wild, unspoiled and unique scientifically terms of natural parks in the world! The reputation of this magnificent place starting from ancient times. The stunning natural beauty was known and admired by the ancient Minoan times. The Dorians who occupied the region in the 5th century BC convert canyon to a large religious center, creating the city-state Tarra its exit to the sea. Also, they built churches and founded the Oracle of Apollo in the heart of the gorge. 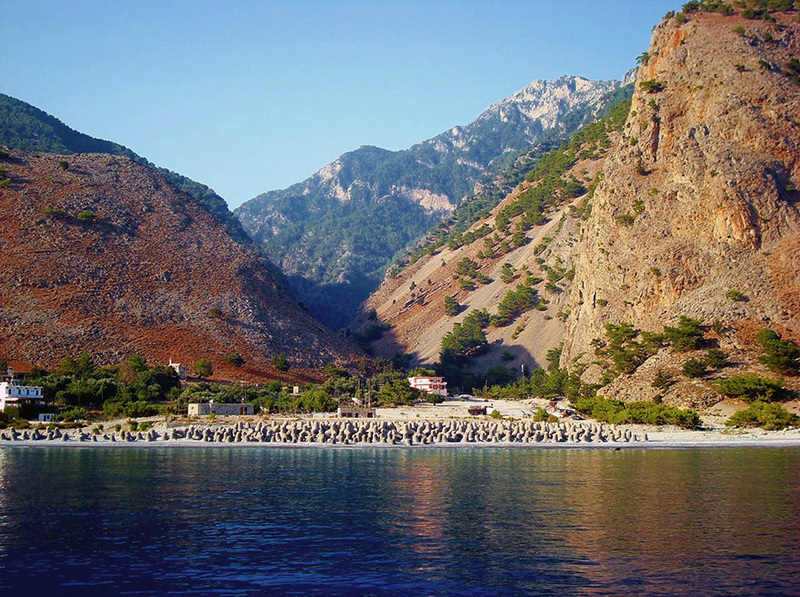 At the altitude of 1200 meters, begins the walk of 18 kilometers till the Agia Roumeli Beach where boats wait to transfer people to Chora Sfakion.